Venture out in Pokémon GO to catch tons of Bagon to evolve into Salamance that know a special move Outrage during this monthly event. The Dragon-type Bagon will be the star of this weekend’s Community Day. 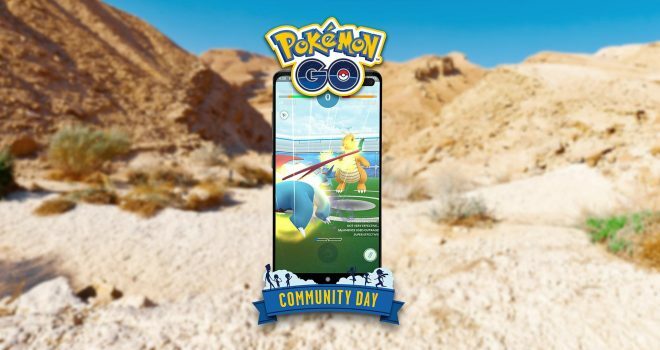 This month, Community Day will occur on Saturday, April 13th, 2019, from 3:00pm to 6:00pm local time. Not only will you have the opportunity to catch plenty of Bagon during that three-hour span, but if you evolve a Salamance during or up to one hour after the event, your Salamance will know the special move Outrage. This move will be available only to Salamance evolved during Community Day. Additionally, Lures will last three hours and you’ll earn 3x experience.